The blog of two Belgian girls hiking around the world, taking the time to meet the local people and to soak in the nature. ﻿ ﻿We had a relaxing day in Otautau. We decided not to hike in Longwood forest : Marie-Laure had heard that it was muddy and she has bad memories of muddy forests. ﻿ We start the day with a hitchhiking session. It takes us 2 hours to have our first ride. We will get the second one quite fast and the 3rd one will never come. We hike the last 6 kilometres on the road and we reach Riverton. We leave our backpack at the backpackers hostel. We know that we might not find a car that would take us to Colac Bay, so we decide to walk in direction of Colac Bay directly from here. It's a beautiful sunny day and we reach the seaside in no time. We are happy to see the sea again. The coastline is scenic and we enjoy the walk without backpacks. When we come back in Riverton in the afternoon, Jenny and the 3 American girls are there as well and we spend our evening together. The backpacker is pretty much empty, there is nobody except us and another girl. Not even the owner. Now, we have to hitchhike back to our trailhead. And we're not the only one trying to find a car. The 3 American ladies are there as well. All of us got a ride in less than 30 minutes. Happy us! The first hut is only 1 hour from the main road, so we reach it in the early afternoon. It's a six bunks and it's already full with our 3 American ladies, Jenny, a woman that just arrived with a campervan but still took a bed and a bed occupied by a sleeping bag, but with nobody around. But it seems that we're lucky today : a hunter shows up and pack his sleeping bag, leaving us a free bed. 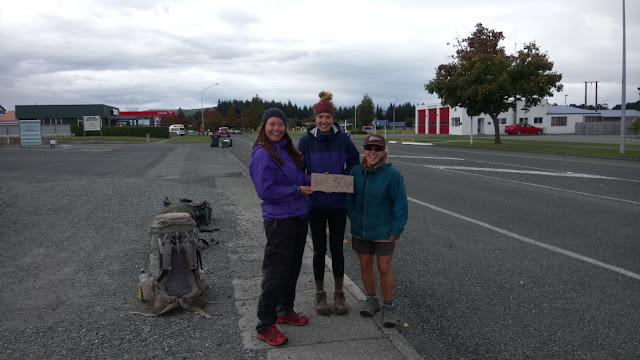 The girl from the campervan was waiting for her boyfriend who is hiking Te Araroa northbound. When he arrives, they decide to sleep together in the campervan. Friday 23rd March. While Marie-Laure buy a few supplies for our next days of tramping, I bring the car back to the car rental agency. The sun is rising. I have to walk 30 minutes to go back to the campsite. The tops of the mountains are covered by the snow that fell down yesterday and during the night, but the sky is blue and soon, the sun appears. We booked a shuttle that will bring us to the trailhead of Greenstone track. From there, we follow an easy trail that leads us to Greenstone hut. It's a pretty popular place, close to Routeburn track. As a result, when we reach the hut, it's more than full. The 20 bunks are occupied and 3 tents are already pitched outside. Our friend Jenny is here as well and she's got a bed because she arrived a lot earlier than us. Mike drops me at the car rental office at 8. The woman at the desk struggles to find my name in the list of the renters. Actually, I had booked for a rent starting tomorrow. I'm not really surprised : when we're hiking, we quickly lose contact with the days. It isn't a problem to have a car now, I just have to pay an extra day. Let's do it! 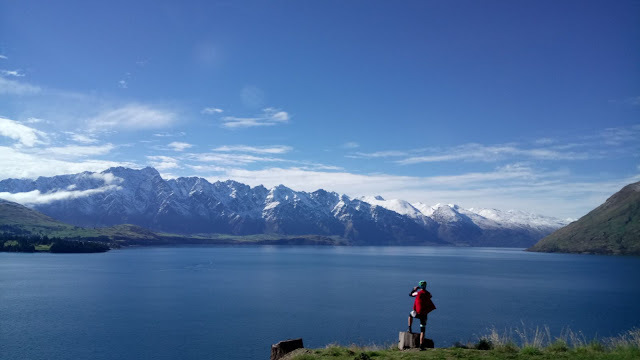 Thanks to the car, we can go to the Remarkables, a ski station from where we can hike. We reach a lake and decide to go a bit further up, to a saddle. From there, we discover the other side of the mountains and other lakes that lie down there. On our way back to Frankton, we send a message to our French friend Jenny, who is not so far behind us. She reaches Arrowtown today, so we invite her to join us during the next days. 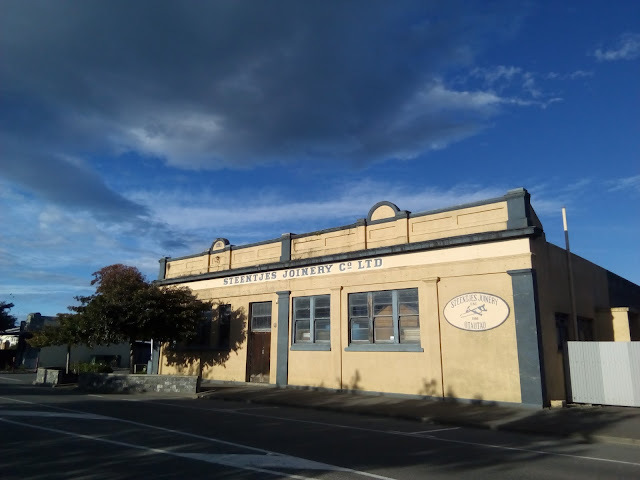 Our plans are easy : going to Dunedin on the east coast to escape most of the bad weather and then go to Milford for a boat cruise that we booked.